Inking It Up With Cathy: Stampin' Up! - Just Believe!!! 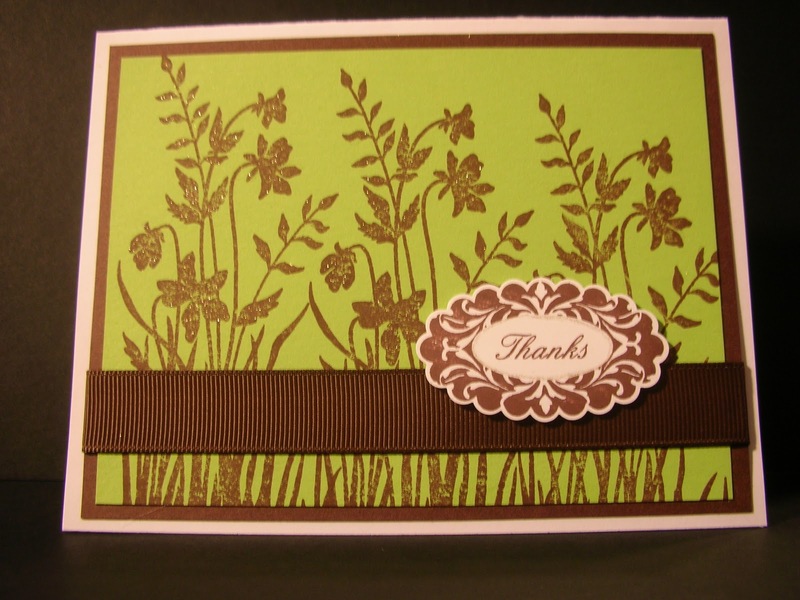 This card was CASE'd from a birthday card I received from my good friend and fellow demonstrator Christine Pyrch. I met Chris at Stampin' Up! 's annual convention in 2008 and we have kept in touch since. For those of you who are demonstrators, you MUST go to convention - it is a blast and you meet so many wonderful people like Chris! 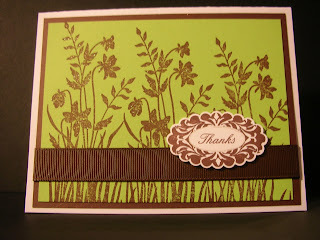 Based upon the wonderful surprises Stampin' Up! provided for us at the Leadership Conference this year, I can't wait to see what they have come up with for Convention this year! For those of you who are just interested in the card, it is a quick & simple card using the Just Believe and Perfect Punches stamp sets & the 5/8" grosgrain ribbon.